Ingredients: If you liked the characters of Men in Black, the campy action of Wild Wild West, and the sci-fi spoofing of Galaxy Quest, you will like this movie. 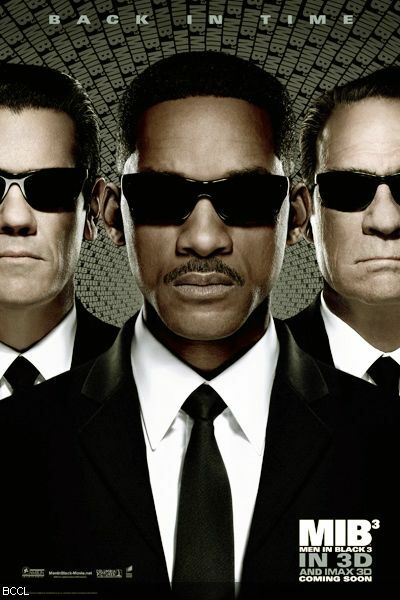 There’s usually a clear indicator that moviemakers have run out of ideas for a sequel, that being that the sequel will either take place in space or take place in the past; Men in Black III takes place in the past. When alien super criminal, Boris the Animal (as played by Jemaine Clement), breaks out of his lunar prison, he travels back to the 1960’s to kill the M.I.B. agent that arrested him, Agent K (Tommy Lee Jones). Agent K’s partner, Agent J (Will Smith), must travel through time to stop Agent K’s death and prevent an alien invasion. Whacky time traveling shenanigans ensue when Agent J runs into his partner’s younger self, as played by Josh Brolin, and the two must team up to take down the Boris of the past and the Boris of the future. But, of course, Men in Black III is still a sequel so there’s bound to be a few things that drag the movie down. So let’s get to the bad stuff. Emma Thompson is woefully underused as Agent O and the few scenes with her make her resort to hackneyed slapstick. The time traveling aspect, while an interesting gimmick, wasn’t really integrated into the film. The majority of the movie takes place in the 1960’s but other then a few references, you could hardly tell. It was wasted potential. And I’m still not sure why the Agent J character has to be constantly ill-informed and out of his league. Will Smith is an outstanding actor when he’s in a serious lead but for some reason in the Men in Black films, he just can’t shed is Fresh Prince of Bel Air persona. Oh, there’s also a bit of a surprise twist that some people might spot early enough but it felt poorly handled and only served to make the relationship between the characters and situation more confusing. But the complaints are mostly nitpicks. Men in Black III is a reasonably good finish to the Men in Black franchise -- if it is the end to the Men in Black franchise. Hopefully director Barry Sonnenfeld will finally get the hint and move on to something else. I mean, come on Mr. Sonnefeld, The Addams Family still isn’t a trilogy yet, you got to strike while the iron is hot!